Toronto: Second Story Press, c2017. For some odd reason, I found that over the last couple of weeks I've read a string of books which all have women and money as a theme. Many different kinds of stories but all with income as a preoccupation of the female characters. This is the first one. Jess is a nice, white-haired Grandma, who has just lost her waitress job, due to the restaurant she worked at burning down. She is independent and prefers her own company and her own beloved house, so refuses her son's offer to move in with his family -- though that might also have something to do with the daughter-in-law that she doesn't get along with. But as her savings sink lower and lower, and ageism rears its head and makes a new job difficult to find in her small town (Nelson, BC) she has to find a way to support herself. Enter her young former coworker Swan, with the suggestion that Jess has a great income opportunity, with the perfect location in which to grow pot - her basement. The rest of the book is very detailed about the process of growing pot; all the problems, ups and downs and technical details are spelled out for the reader. The issue of smell, of harvesting and selling, and so on are thoroughly covered. 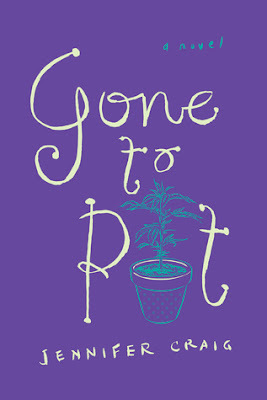 As someone on Goodreads noted, she wasn't sure if this was a feisty-lady-making-good story or a how-to on home pot growing! It's definitely a story centred around Jess' life and experiences, and that of her circle of women friends... her "bookclub" who don't really discuss books. Add to that the problems that Swan faces, and we have a multigenerational story of women's lives which is quite effective. But it is quite chock-a-block with pot info as well. 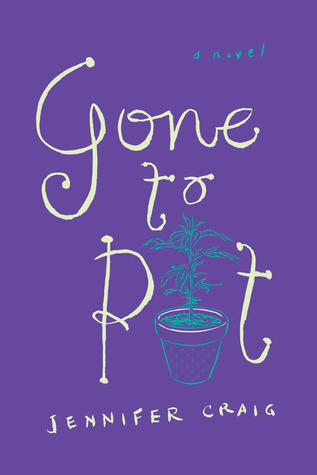 Jess tosses in some philosophical musings too, about aging, and about morality vs legality (mostly around pot growing & using), and sometimes these authorial additions feel a bit intrusive, a bit "dear reader". I personally dislike the idea of pot being as widely used as tobacco & alcohol, so I didn't nod in agreement often at these comments. But I still found the story entertaining, often funny - in a situationally funny way, not like it was full of one-liners - and Jess was a great character. I thought it pointed out the difficulties of income and security, especially for older women who've spent their lives working and caring for others, in a relatable way. And Jess' solution to her money woes and those of her friends, in the end, is charming and uplifting, even if not 100% realistic. I think many people have the same dreams and will be able to understand and enjoy this tale. If you're virulently anti-pot, you may not want to read this. Otherwise, check out this very contemporary story of a social reality being faced down creatively by a very determined senior citizen. Its unique and creative storyline will make you think!